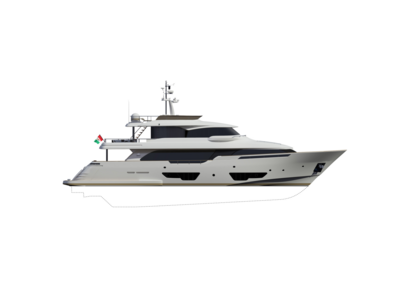 Ferretti has always had, as part of its DNA, a vocation for research, innovation and a perfect combination of the latter with design, to guarantee high-end space functionality and comfort on board. 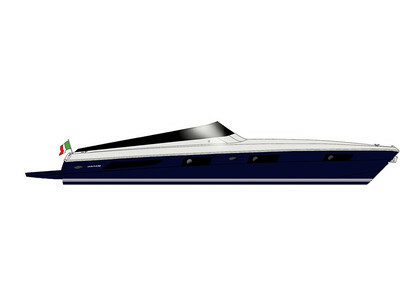 This is why - in 1989 - the Engineering Division, AYT&D – Advanced Yacht Technology & Design as of today, was established, a centre specialising in new craft design as standard and in the search for new materials, equipped with cutting-edge technologies and unique in the yachting industry, not only in Italy. 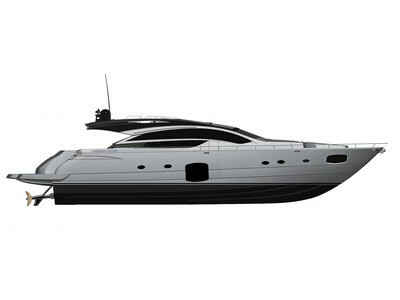 The experience accrued over the years thanks to Offshore competitions has allowed us to transfer the results of technological research conducted for sports competition to standard production. 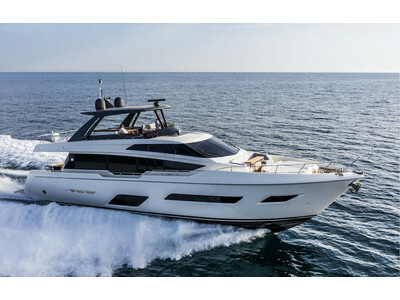 Over the years Ferretti has introduced innovative solutions which have shaped pleasure yachting worldwide: the up-and-over window between salon and cockpit, the underwater discharge and F-tdr (Ferretti trim and drag reduction) systems. 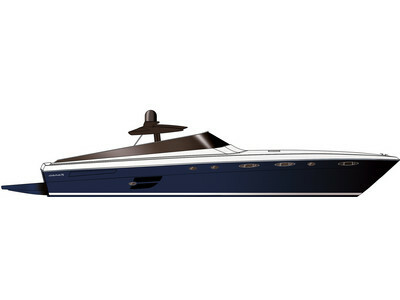 Most recently, mention should be made of the air bag for anchor chains, the hull windows, XFT technology (Cross Fibre Technology), monitoring and control systems (NaviOp and Gi8), as well as of the revolutionary ARG (Anti Rolling Gyros): this is a gyroscopic device which, using the movement of a rotor, substantially reduces rolling on yachts. 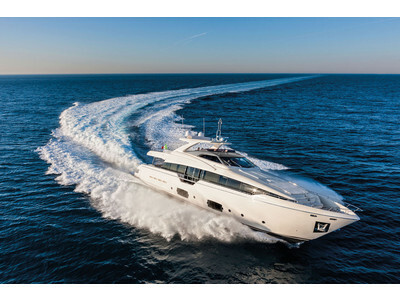 Comfort on board is ensured by maximum attention paid to noise emissions: indeed Ferretti is the first shipyard to have certified its craft according to the ISO14509 standard two years before it entered into force. 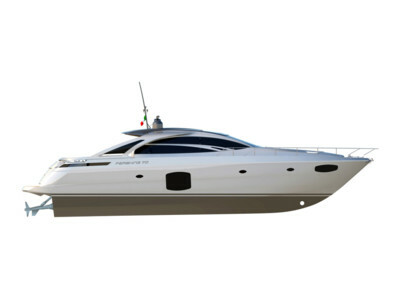 In 2005 Poseidon, the largest 5-axis milling machine in Europe for model building, has been inaugurated. 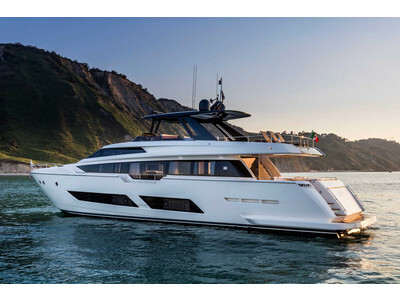 Thanks to cooperation with partner companies on technology, it has been possible to develop increasingly innovative systems: Smart Command with the Easy Dock and Auto Troll functions, which ensures maximum stability of the yacht, as a result of research work conducted together with ZF. 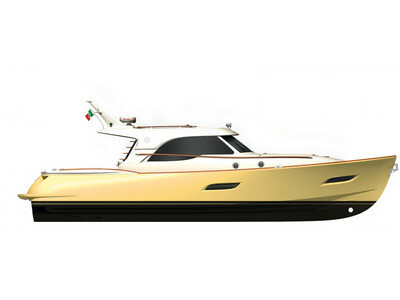 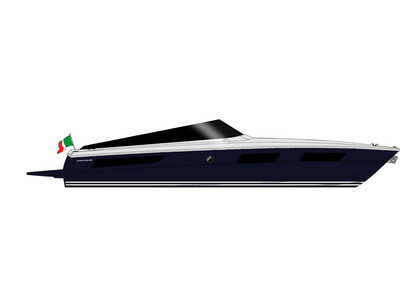 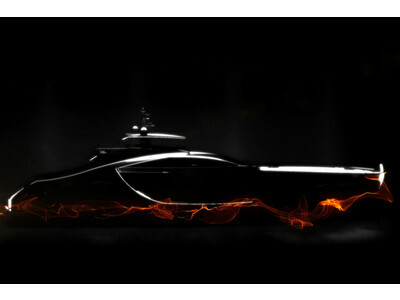 This paved the way for Fer.WEY and Hybrid Propulsion, both systems patented by Ferrettigroup. 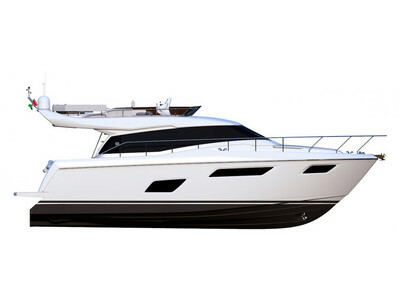 Fer.Wey – Ferretti Wave Efficient Yacht – is a trans-planing keel which allows for extremely comfortable and energy-efficient sailing within medium-speed ranges, at the same time also reducing to a minimum both rolling and stern wake formation. 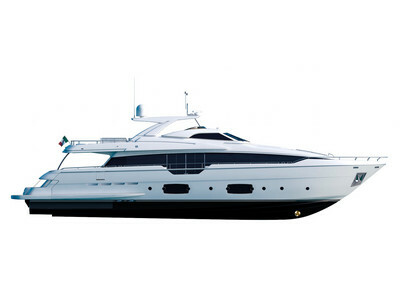 This kind of keel makes the yacht extremely stable in terms of longitude, without any perceptible trim alteration as the speed changes. 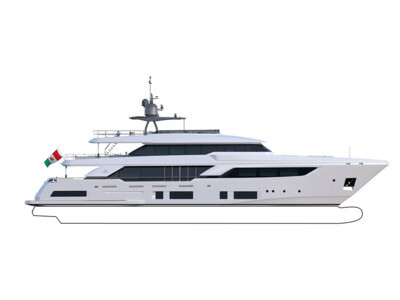 Hybrid Propulsion is a highly innovative system which includes five operating modes; it is the first system ever to have allowed for navigation at “Zero Emission Mode” on a yacht longer than 20 metres. 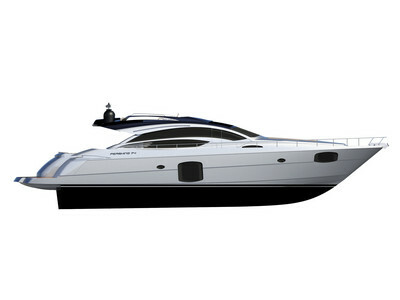 More recent projects are Autotrim, an automated system to adjust surface propellers and optimise speed, fuel use and trim, and SteerCommand & JMS which replaces traditional hydraulic steering and reduces the steering diameter by half. 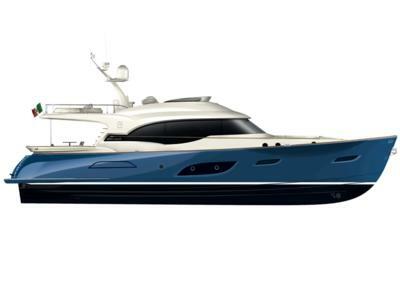 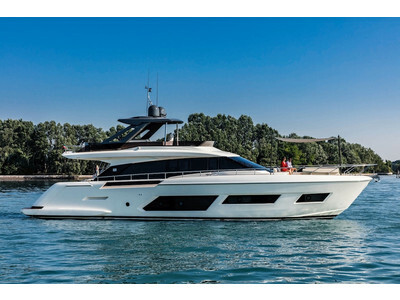 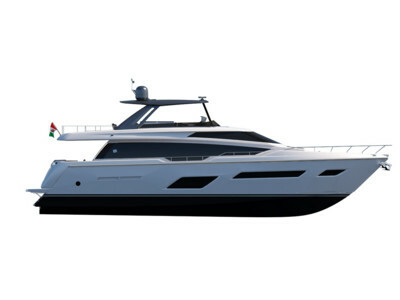 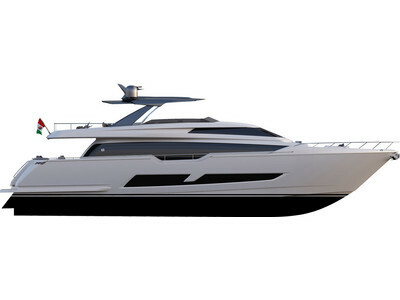 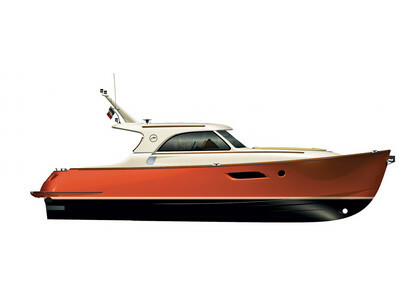 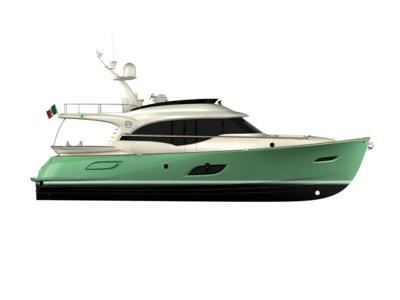 The most recent innovation is the Floodable Garage, introduced for the first time on the Ferretti Yachts 960, which makes it possible to haul a tender with the utmost ease. 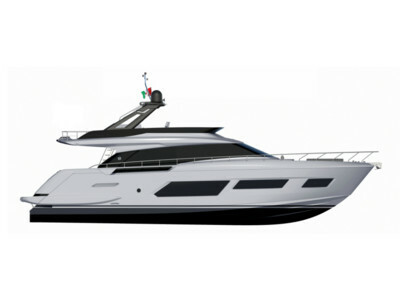 Other recent patents include the DMT - Dual Mode Transom - also in the stern area, and the Convertible Top which easily transforms an open into a convertible model. 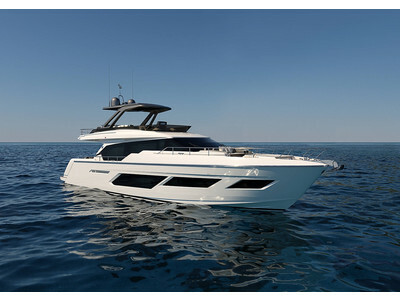 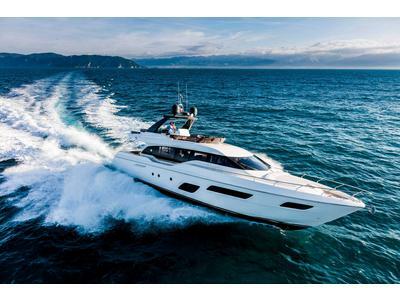 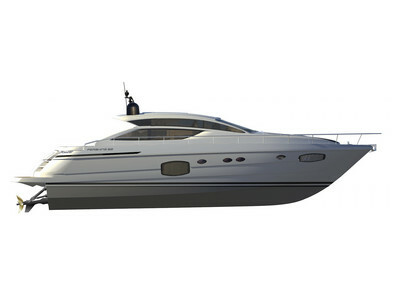 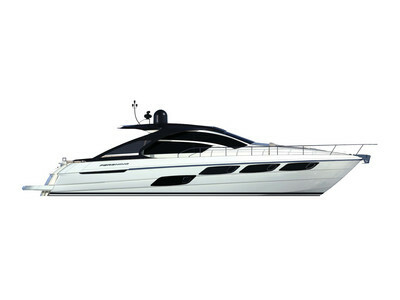 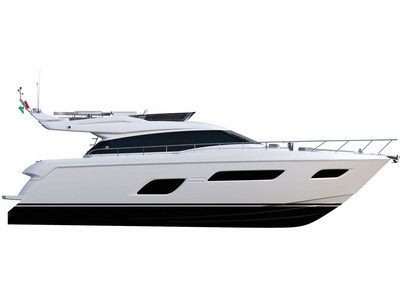 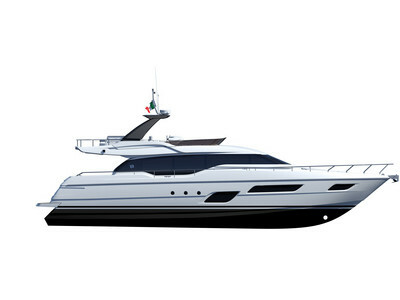 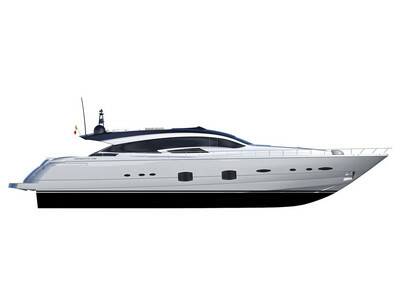 For Ferretti Yachts, comfort is a vocation, underlying all choices in terms of design or style. 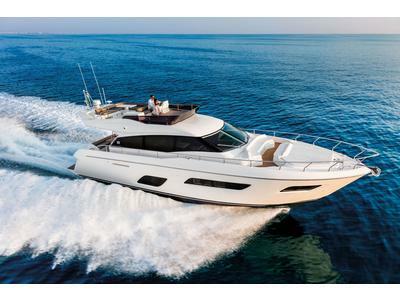 Comfort means safety. 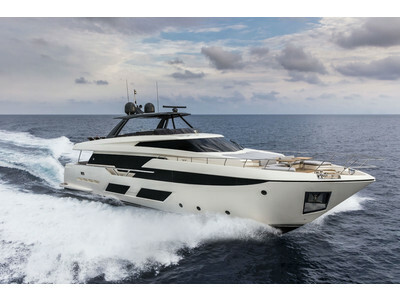 Ferretti Yachts, indeed, is fully compliant with the ECC 94/25 Directive, as well as having all its yachts “Ocean” certified as class “A”, which guarantees hull strength and safety under any sailing condition, a unique feature for a craft range between 16 metres and 29 metres. 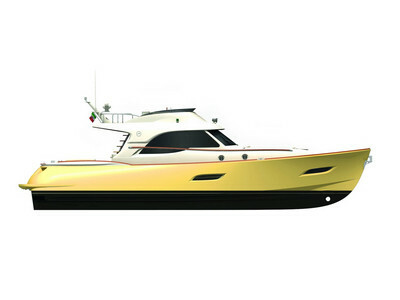 Safety also means the ergonomic engine room which allows for access to equipment and engine maintenance with the utmost ease, very strong tanks, to avoid any kind of leak and placed in the midship for a better trim of the craft, a carefully installed electric system to avoid any possible default, a display for immediate control of all on-board functions; easy steering is ensured by solutions which make it possible to steer and moor with extreme ease and precision. 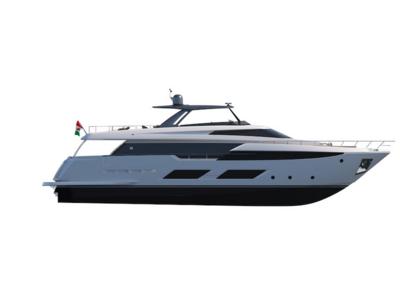 Comfort also covers the concept of smart design, providing ergonomic solutions which ensure acoustic insulation of the engine area, air conditioning systems for customised temperature in each single room, stabilising systems to reduce rolling on board. The large windows, designed to meet the highest safety standards, offer unique contact with the sea, visible also from every cabin. 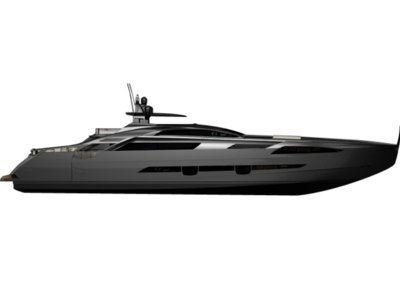 Comfort also means harmony in spaces and materials, top-of-the-range raw materials which guarantee a timeless, though modern and functional product. 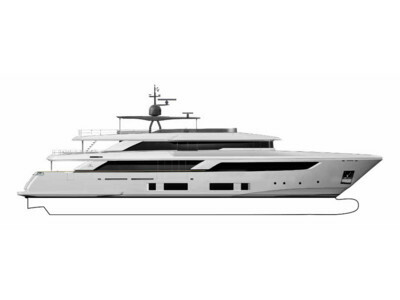 Livability on board is ensured by solutions designed in order to optimise all available space, thanks to the skill of Zuccon International Project Studio and of the shipyard architects who work with all their enthusiasm for Ferretti Yachts, every day. 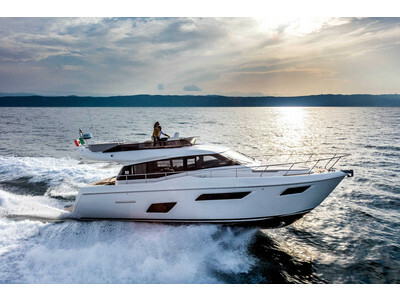 Evolution is the keyword that guides almost half a century of design and vision at Ferretti Yachts. 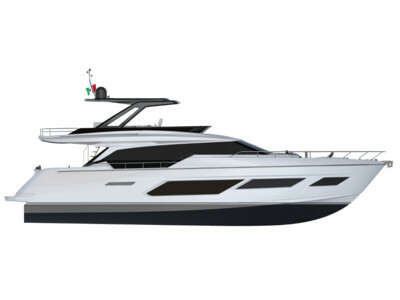 Continuous research driven by innovation to create yachts that meet each owner’s unique desires in terms of comfort, style, navigation and safety at sea.